Love & Hip Hop Miami will star rappers Trina, Trick Daddy, Gunplay and Pleasure P of R&B group Pretty Ricky, along with others. 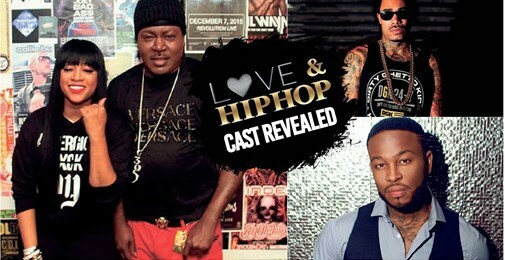 MiAMi — for months there have been rumors swirling that the popular “love and Hip Hop” (l&HH) series was making its way to sunny South florida. And if you’re anything like most Miamians, you were hoping this spin-off from the series would represent the 305 authentically. if last week’s announcement from VH1 is any indication, there may be hope. in a blog post, the network revealed the series will feature none other than rappers Trick Daddy and Trina, the self-proclaimed Mayor of 305 and Diamond Princess respectively; R&B group Pretty Ricky and rapper Gunplay, among others. The latest installment of the hit franchise will explore the hip hop, Latin, and reggaeton music scene in Miami as well as the rich Latinx culture and feature the baddest Trina, as well as Trick Daddy, and Gunplay. Trina will join the docu-series as she preps her upcoming album “The One” while balancing home life with her unpredictable family. Will Trina be able to manage being one of the most celebrated femcees while having it all at home? The self-proclaimed “Mayor of the 305″ Trick Daddy is also working on his latest creative endeavors but will his divorce from his wife Joy derail his comeback? threaten his relationship with the group? Rapper Gunplay and his girl Keyara are starting over in Miami but will ex-girlfriend Miami Tip shake up their happy home? Can the couple outlast the drama from the past? 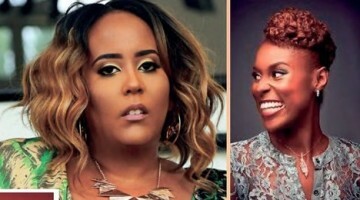 While there are some other new and less familiar faces starring in this latest iteration of Mona Scott Young’s television franchise, the fact that she’s including so many Miami natives that were responsible for helping put Miami hip hop on the map is a good sign. However, since those who watch l&HH know the show can take all kinds of dramatic and ratchet turns (hey let’s call it what it is people), there’s no guarantee that hope will be actualized. Viewers have to wait until January 2018 when the show premieres to see if it actually lives up to the hype. And just a sidebar in case the l&HH Miami producers are reading this: Miami has more than rich latin culture. it has rich Haitian culture, rich Jamaican culture, rich Bahamian culture, Trinidadian culture, rich rich Black American culture and a slew of other significant cultural influences. You may just have to leave South Beach to find them. We hope l&HH Miami will display all those aspects as well, because if it doesn’t then it surely won’t be as authentically ‘Miami’ as we hope.